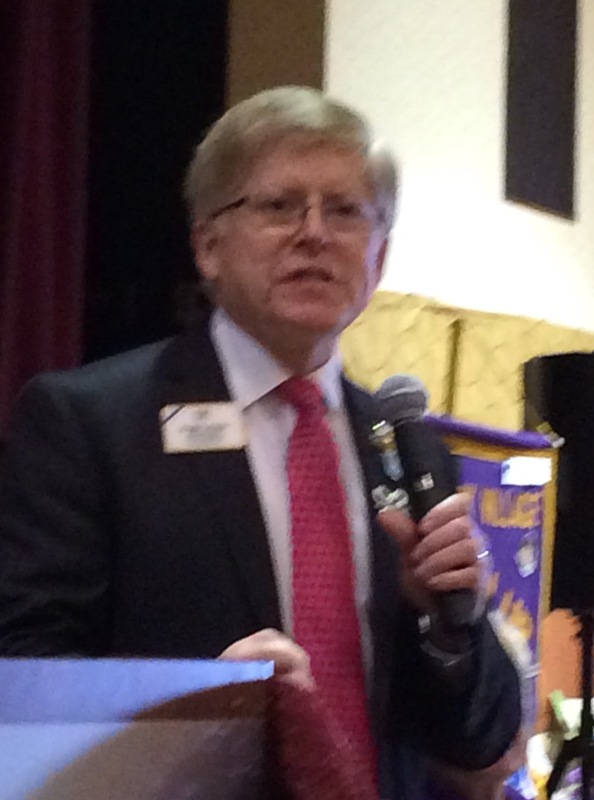 Following a weekend of NDSU graduation activities and a celebration of my 38 years at North Dakota State University and Kathy’s 32 years at Shanley High School, we resumed our travels on behalf of Lions Clubs International. 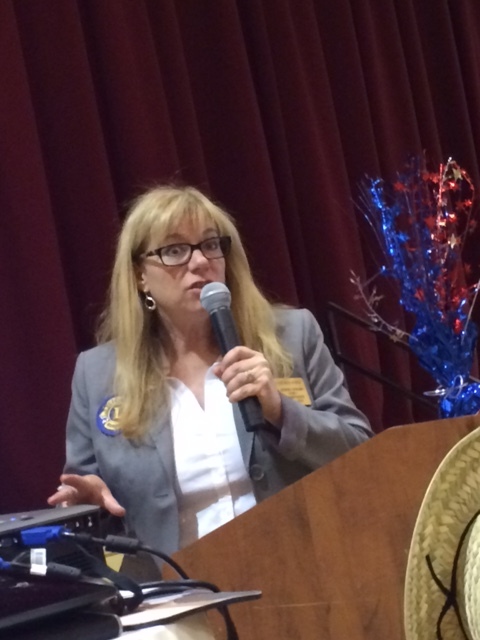 Our stop this past weekend was the District 4-C2 Convention in northern California. 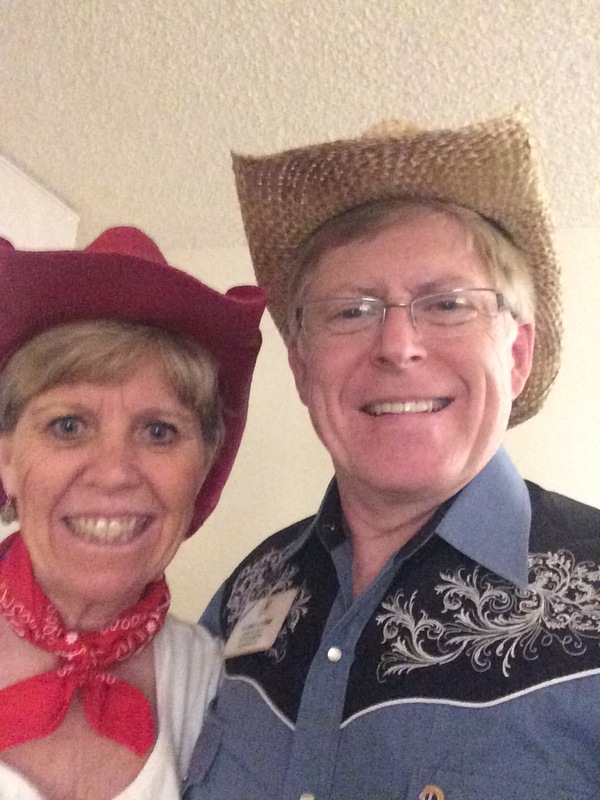 When we arrived in Sacramento, 2nd Vice District Governor Les and Patty Mize met us at the airport and brought us to the hotel where the zone and region chair training were already underway. Lion Kathy enjoyed the sunshine and beautiful gazebo at the hotel. 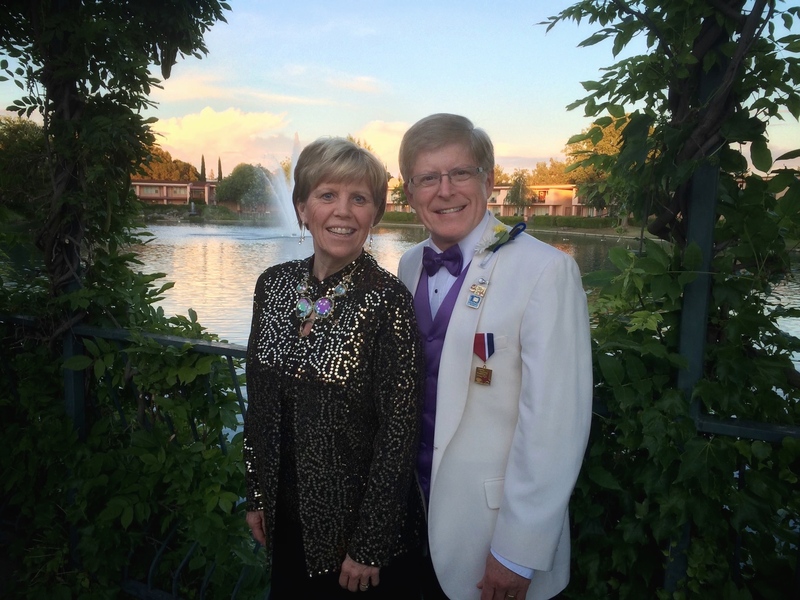 District Governor Phyllis Rogers and her convention team planned a great convention. PDG Ken Ibarra provided an interactive session where new and veteran zone and region chairs had an opportunity to share perceptions and learn the expectations of their positions on the district cabinet. These district leaders will assume their responsibilities on July 1, when District Governor-Elect Audrey Wottrich begins her term of office. 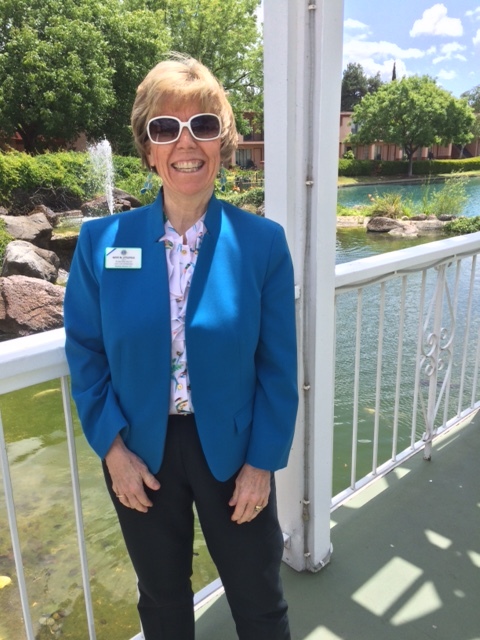 District Governor Phyllis Rogers did a wonderful job of managing the business and protocol of the convention. Convention Chair DeeDee Byrne kept the convention moving smoothly and efficiently. 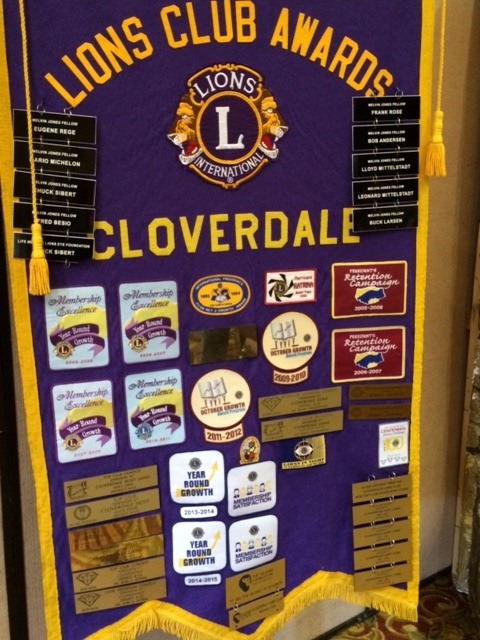 The Cloverdale Lions provided the hospitality for the convention–boy, do they know their business! 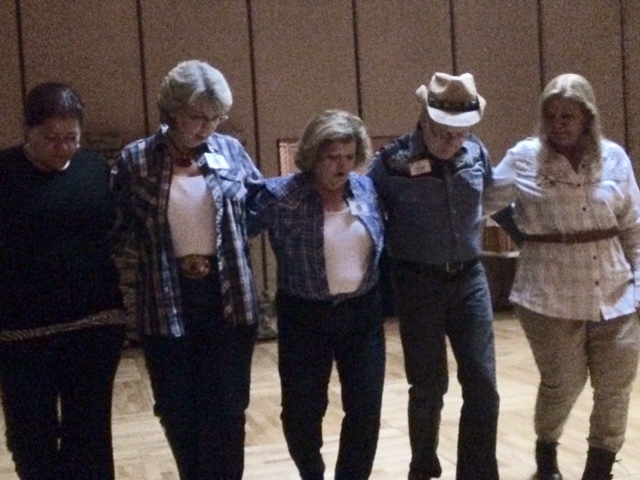 The Friday evening festivities used a western theme to loosen everyone up and Lion Kathy and I learned some new line dances as we enjoyed meeting the Lions present to welcome us to California. ID Robert and brave line dancers learn a new move! 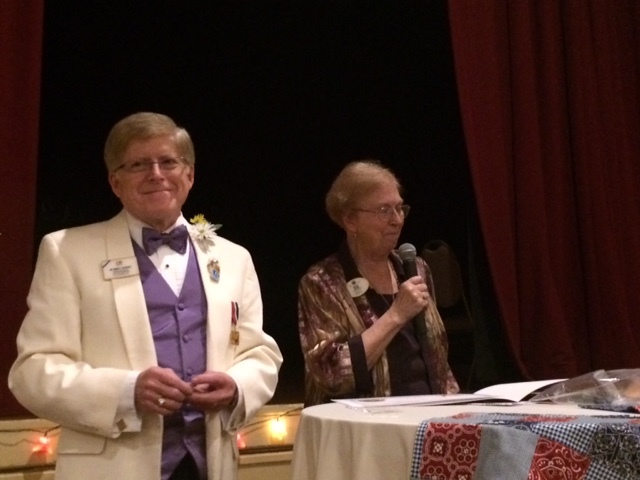 District 4-C5 Governor Mike Retzlaff and his wife, Lion Sheri provided decorations and support for DG Phyllis throughout the weekend. 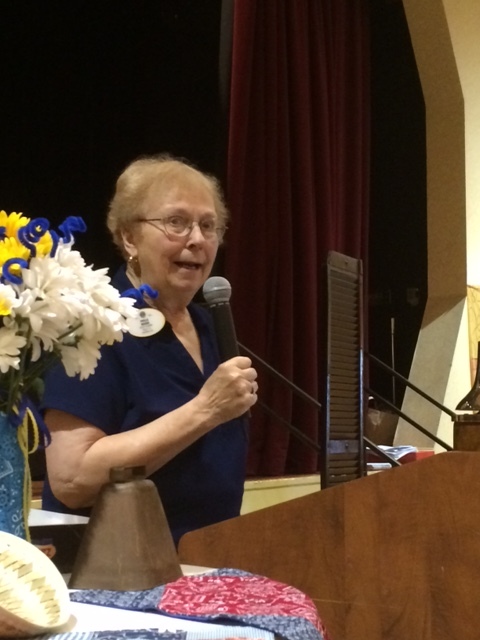 On Saturday morning, District Governor Phyllis officially called the convention to order and reports were offered. 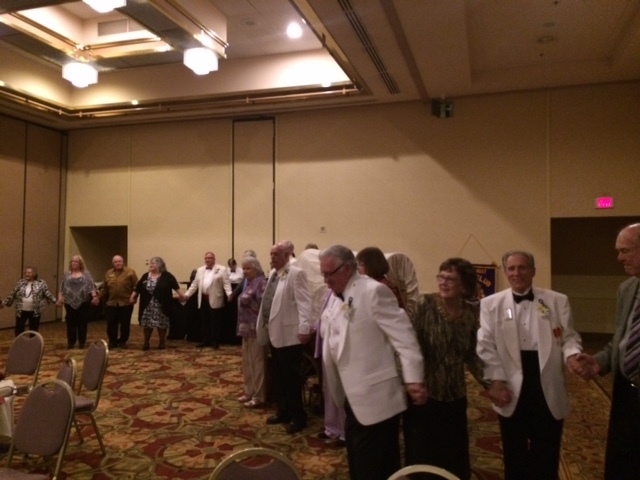 2nd VDG Les Mize is placed into nominated for 1st VDG by members of his club. It was at this time that Lion Kathy and I presented our One Shot, One Life Measles Initiative presentation on behalf of LCIF. We were so pleased with the response and we raised $1,047 from individual donations to support this program. Thank you, Lions of this generous district for your support. ID Robert responds to questions at the town hall. Later, I was asked to provide an update about LCI initiatives and respond to questions. The Lions expressed genuine interest in the life of an international director, the training required, and our future plans following the completion of my term on the Board of Directors. 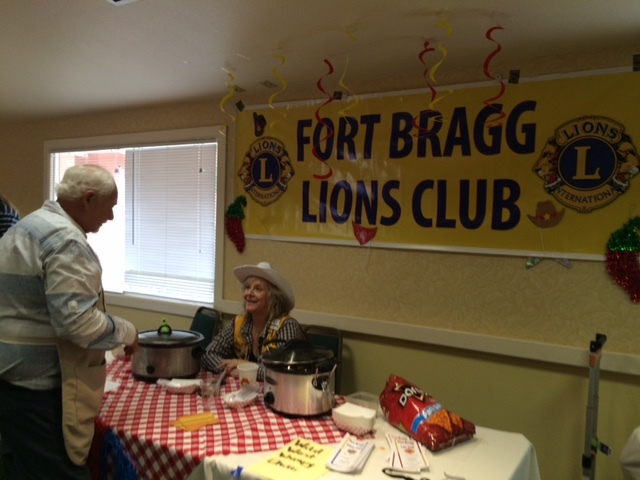 Fort Bragg Lions offered hot and mild chili in the food fair competition. At noon, the food fair competition took place, with clubs and individuals vying for top booth, top food entre, and top theme costume awards. A mechanical bull was available to ride, but good sense prevailed and we left that bull alone! A beautiful California sunset and a moment to remember. 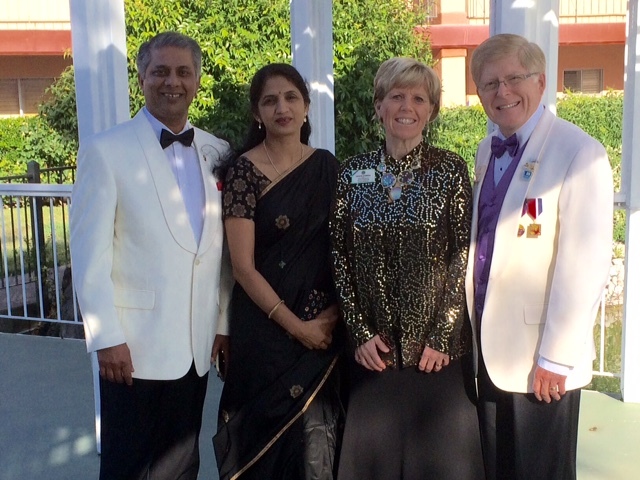 The California weather was perfect as the evening ensued, with a lovely Governor’s Banquet culminating the day’s activities. Following my remarks, we ended with hands raised in service, acknowledging the theme of President-Elect Bob Corlew—new mountains to climb—for the coming year. Lions join hands in harmony and pledge their humanitarian service in the largest civilian dynasty in the history of the world. We met an outstanding Lion leader from District 4-C5, Vice District Governor Kumar Kalagara and his wife Lion Sandhya. He is a whiz when it comes to Internet Technology and he is the IT manager for the Lions of California. I appreciated discussing new approaches to recordkeeping and ways to improve our use of technology as Lions. I believe he will be a great leader and expect to see him involved at the international level in the future. On Sunday morning, District Chaplain Vicki McCartney conducted a very touching memorial service. 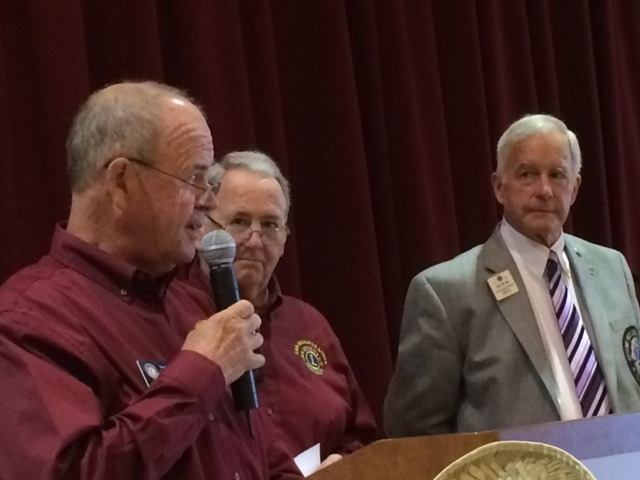 Lions remembered deceased members by speaking about their service and unique contributions to their clubs and the district. ID Robert expressing appreciation to DG Phyllis and the District for their gift of a contribution to LCIF. Following breakfast, we bid farewell and Lion Sherry Retzlaff brought us back to the airport for the trip to Fargo. As our plane departed, we said goodbye to new friends and turned our focus toward our home district and the MD5 convention to be held this coming weekend in Regina. The march to the Centennial is on! Thank you for your heartfelt service. What a great service you have provided a wonderful organization. Good job, young man!